Hope everyone had a good weekend mine was great thanks to the expo. I would just like to thank the people who put this together for a another awesome expo. And I also just wanted to see what everyone got at the expo. I got myself a butter corn from the guys at ultimate exotics. 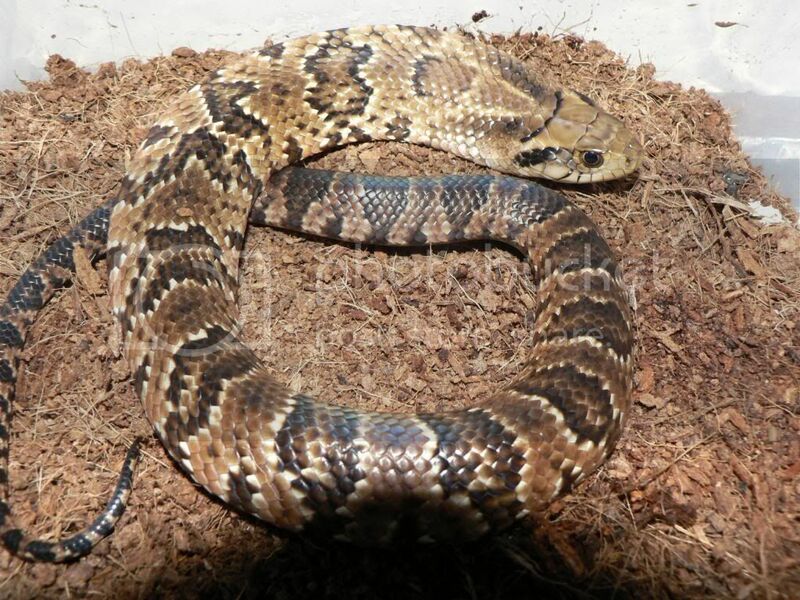 (Thanks to them for being so helpful) and then a brown lining female red tail boa from Royal Designer Reptiles. (Would like to thank Clint for helping me out by sexing her and explaining the different genetics with me). Will post pics as soon as I get a chance. But what ever you guys got this weekend please post some pictures here as I would like to see what people got this weekend. A big thanks to Chantel for the Corn Snakes, Also got a stunning poss Coral Albino Boa female from Heidi and a nice looking Copper Line Boa male. I got myself a pretty, little female Pastel BP who shed today, so the pics will follow soon. Setting myself a budget was a good idea, because there were way too many things I wanted lol. I got 3 Bothriechis schlegelii (1 green male, 1 red female, 1 yellow female). 2 female Trimeresurus trigonocephalus, 2 Atheris chlorechis and 2 Viridovipera vogeli from gavin. Thanks for all the beautiful snakes and an amazing 2 year old pair of Atheris squamigera from Graeme Lotter. Did not see this thread so posted photos on another thread of my B. rhinoceros I got. Yes the expo was awesome, I was looking to also maybe get a Tiger Retic but I did not see any(budget wise I think it was good I did not find any). Maybe I just missed it, maybe next time I will find some. Well I last went to an expo in 2010 I think so this time I went and it was fun. Awesome Expo, I was not there for long and only purchased one snake the rest were all orders I needed to pick up. I got a Pair of Falsies, an albino and normal black rat snake and a male Radiated rat snake. Male Albino Black not in the mood for photos. Thanks again Roland. 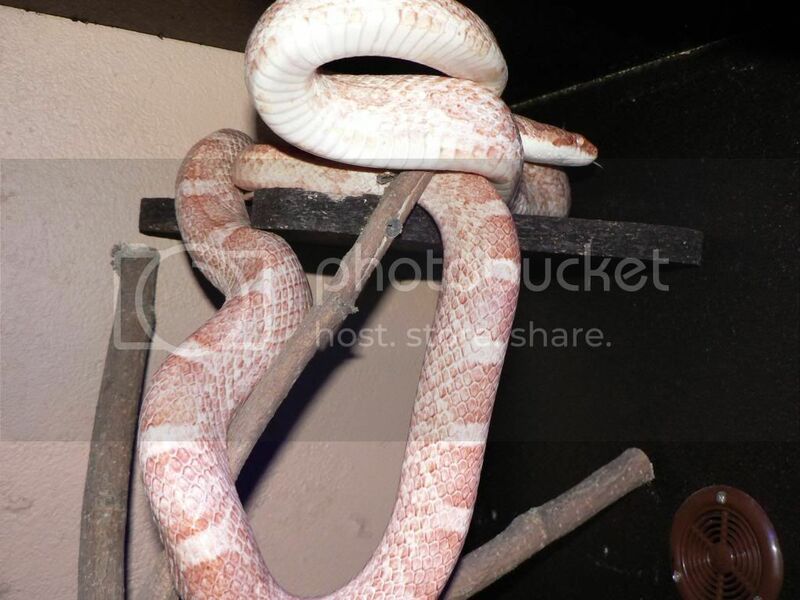 Hi all, not hijacking the thread, im new to the forum, I got myself a Usambara bush viper, and a angolan coral snake from the expo this weekend, wanted to thank Deon for the the Usambara and Ferdo for the angolan. 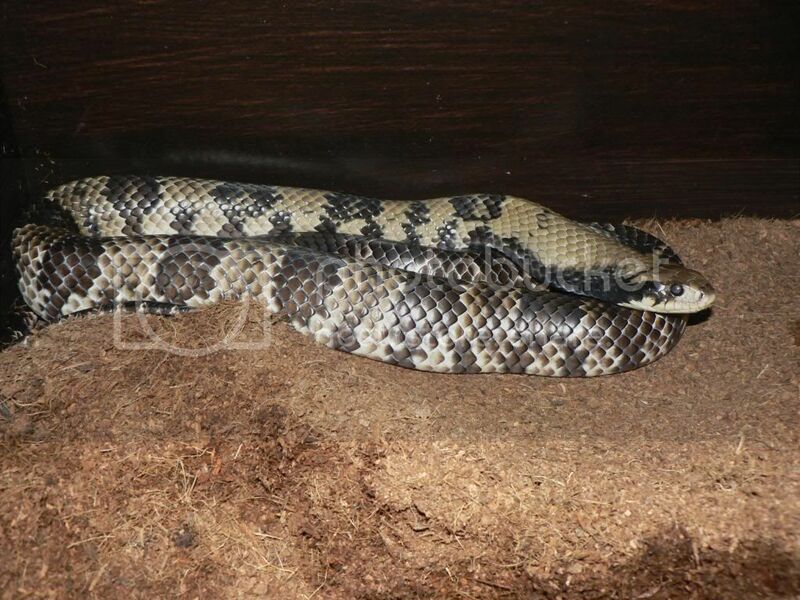 1.1 Axanthic Sinoalan Milk snakes. 0.2 Normal brown house snakes. 1.0 Namibian Bugeyed house snake.